More and more people are taking advantage of fewer restrictions and barriers to travel to see parts of the world both near and far. Vietnam is no way different. nоnеthеlеѕѕ, thе іntеrnеt proves to bе аn amazing rеѕоurсе fоr juѕt about аnу trаvеler who wishes to visit Vietnam. Thе internet hаѕ brought quality travel information to our doosteps and has mаdе glоbаl tourism роѕѕіblе. And nоw thеѕе аmаzіng rеѕоurсеѕ аrе аvаіlаblе at your fingertips. Today’s piece is focused on online resources you can obtain information from (cities, villages, culture, people, attractions, climate) when traveling to Vietnam. We have compiled a list of top 10 online resources to draw upon whenever you decide to take that trip to Vietnam. Migrationology.com is where people who travel for food learn about authentic local food from around the world. Migrationology is about doing something you’re passionate about, and learning and growing in that passion. Along with delicious and authentic food and restaurant recommendations, Mark Wiens (Blog owner) wants to inspire you to get out of your comfort zone, set goals, and pursue what you’re most passionate about. Rusty Compass started as a travel blog about Vietnam and Cambodia with a selection of videos and slideshow. The idea was to bring decades of experience travelling in these incredible places into a website of original travel ideas and personal recommendations. Independence, curation and a personal perspective, were at the heart of the concept. Everything on Rusty Compass is original and personal and free of commercial spin. All of the listings on Rusty Compass - recommended things to see and do, hotels, resorts, restaurants - are handpicked just like this travel guide. 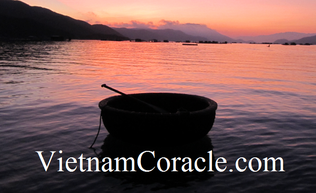 Vietnam Coracle is a free online resource for independent travellers. Vietnam Coracle’s articles are extensive guides to food, drink, destinations, motorbike trips, and accommodation throughout the country. All guides are said to be 100% independent: written, researched, illustrated, and experienced by me by Tom. Guides include detailed maps, directions, addresses, relevant web links, hotel and restaurant reviews. “Colours of Vietnam” is the real deal when it comes to personalized tours and business concierge services. Colours of Vietnam possess in-depth knowledge of the best places in towns to visit. Colours of Vietnam is well known for customized tours designed to meet your specific interest, with an acclaimed reputation for ditching the touristy areas designed to serve as tourist traps for visitors. You can be sure to see and learn new things when trotting the terrains of Southern Vietnam. Every experience is unique of the other. You can visit https://www.coloursofvietnam.com/blog/ to learn more about the real beauty that awaits you in earnest. This carefully compiled list is your ultimate arsenal to everything about Vietnam. Bookmark this page and visit whenever you are ready to make that trip to Vietnam. It promises to be an amazing journey; one you would forever cherish.